No. 6 at PGA West. So much water in the desert. As we were plunking balls into the watery splendor of the Stadium course at PGA West—or sighing with relief–two questions came to mind. First, are there really that many people who can afford the lovely condos that gracefully line the course and play well enough to enjoy the rigors of the Stadium 18? 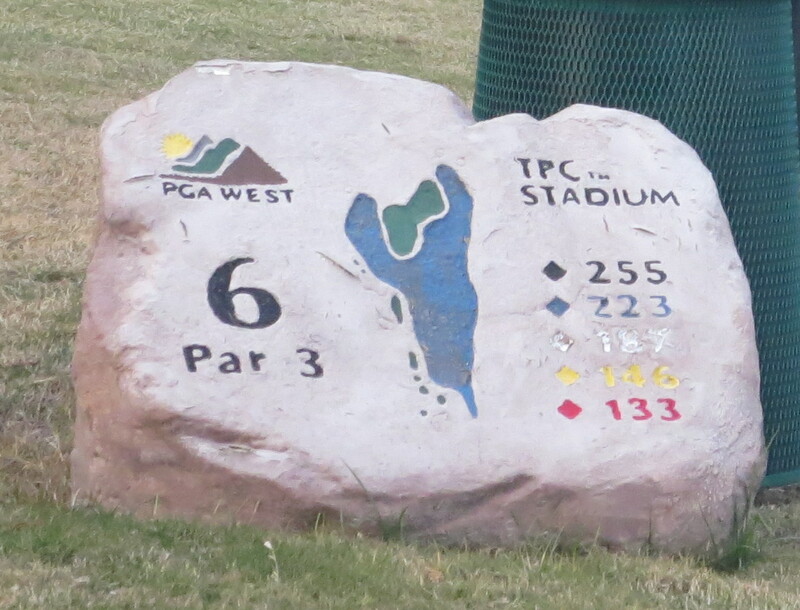 One explanation, I learned later, is that PGA West encompasses six courses—three private and three resort. So no one needs to play day after day at the Stadium course. Although Titleist and other ballmakers wouldn’t mind if people did. The second question was: What’s the deal with all the water on the vast armada of Palm Springs golf courses? Isn’t this the desert? We don’t have this many water hazards in the Midwest. And we’re in the middle of the Great Lakes. But seriously, as the entertainers who love to visit Palm Springs would say, this popular resort about 100 miles east of Los Angeles is a golf mecca for a bunch of good reasons. 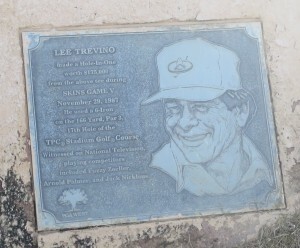 Trevino earned a plaque and cash. 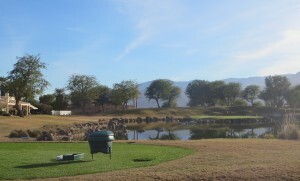 The nine communities in the Coachella Valley collectively known as “Palm Springs’’ to vacationers and snowbirds are home to more than 125 golf courses. And there are courses to suit a wide variety of skill levels and budgets. 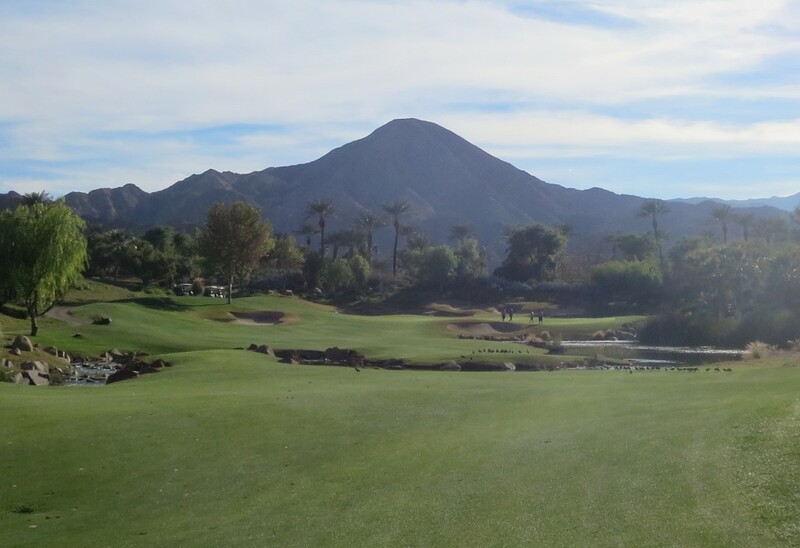 Smart shoppers can play some outstanding golf courses in Palm Springs in December for about $100, and that includes outstanding layouts like PGA West’s famous Stadium course as well as the Celebrity Course at Indian Wells, and the Classic Club. The Stadium Course is a 1986 Pete Dye design that has been ranked among the nation’s top 100 courses and No. 4 among the nation’s 50 toughest courses. 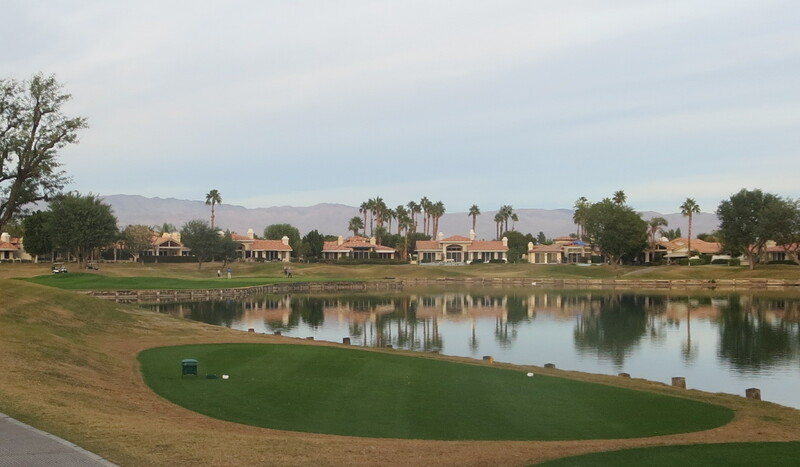 With a rating of 76.1 and a slope of 150 from the 7,600-yard tips, the Stadium Course will challenge the world’s greatest players, who will be here in January at the CareerBuilder Challenge (once known as the Bob Hope). No. 17 at PGA West. . . aka Alcatraz. Among its most notable holes is San Andreas Fault, the par-five 16th, which features an immense greenside bunker that once bedeviled former Speaker of the House Tip O’Neill. That is followed by Alcatraz, a rocky and watery par-three where Lee Trevino famously made a hole-in-one during the Skins game. 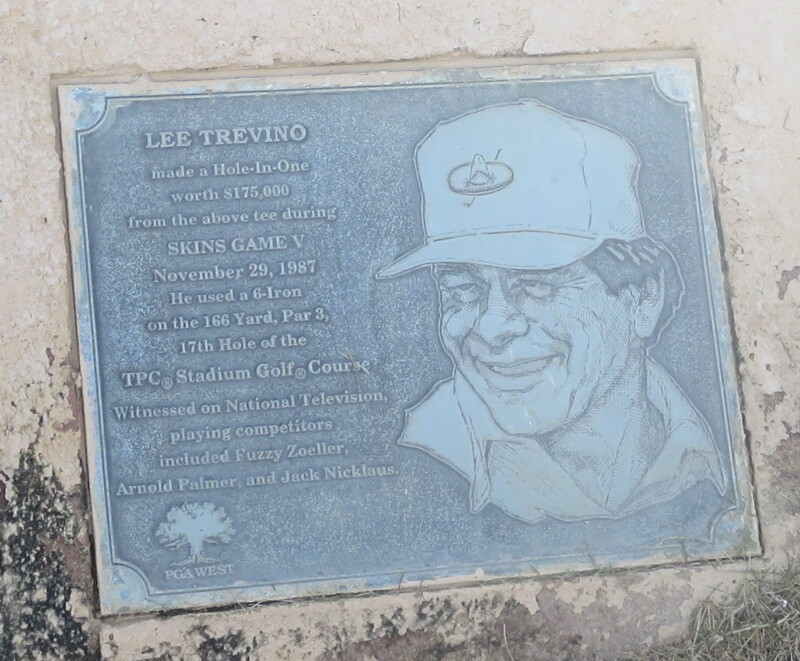 Trevino’s ace was worth $175,000 back in the day when that was not pocket change to top-tier athletes. While intimidating, the Stadium Course doesn’t necessarily require a single-digit handicap. Bogey golfers who stay on the right tee, and hit the ball true, can have a very enjoyable day. The Stadium Course has some outstanding short par-fours as well as epic holes. Indian Wells is another Palm Springs gem. 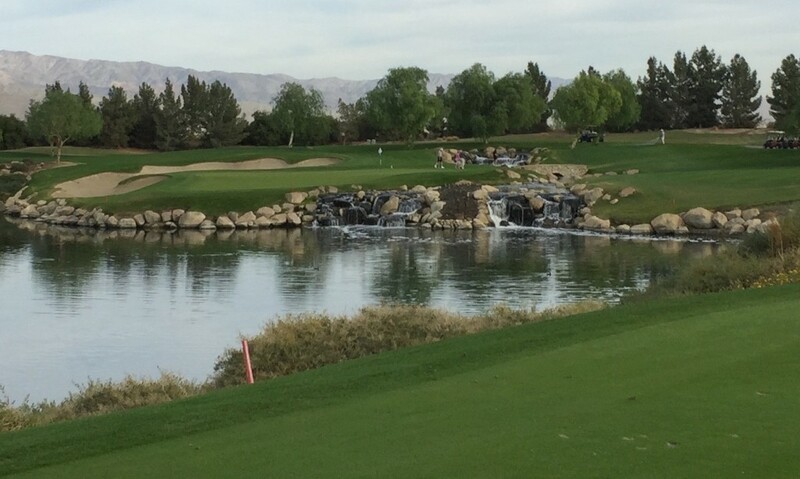 Owned by the city of Indian Wells, both courses in this 36-hole layout, the Celebrity and Players courses, are often ranked among the top 25 municipal courses in the country. We played the Celebrity Course, a 2006 Clive Clark design. The Players Course, a 2007 John Fought layout, is the higher-ranked of the two. That alone is reason to make a return to the Palm Springs area a high priority. The Celebrity Course is beautiful and challenging, and really fun from the forward tees of 6,000 and 6,300 yards. For those with the game, the 7,000- and 6,600-yard tees would be really serious tests. Clark, 70, is an engaging Englishman, a 1973 Ryder Cup player who lives in La Quinta, near Palm Springs. He did a remarkable job of creating long and short holes—especially short par 4s. In many cases, the looks are more intimidating than the shots, which makes a round there exhilarating but manageable. 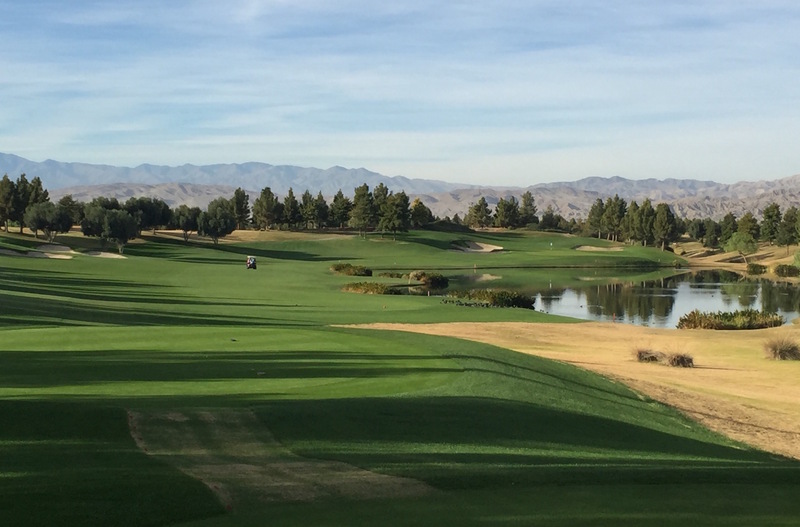 In addition, the Indian Wells Golf Resort, ably managed by Troon Golf, features a terrific clubhouse that’s more in keeping with an upscale resort than a muni. But with two of America’s best muni’s under one roof, that should come as no surprise. Classic Club, No. 12. Yet another watery par 3 in desert. 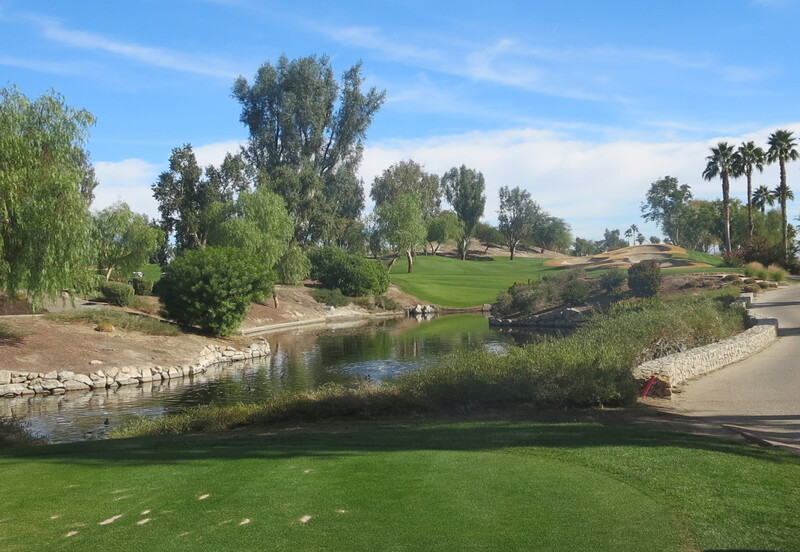 Another excellent golfing adventure can be had at the Classic Club, a 2006 Arnold Palmer design that was part of the Bob Hope Desert Classic in 2006-08. Like many Palmer designs, the Classic Club features inviting landing areas off the tee, with options narrowing from there. It’s an enjoyable, rolling layout that has such an abundance of greenery and water that it is easy to forget you are in the desert. Long shadows on No. 16 at Classic Club. The Classic Club, which also is under Troon management, has an elegant clubhouse that was hosting a mid-week wedding when we there. And it was especially beautiful in the late afternoon shadows. And once again, the golf rates are surprisingly reasonable for the quality of the golf, and in a resort area that has so many attractive options for lodging and dining, not to mention a wide variety of activities at a time when most of the country is shivering. In short, Palm Springs lives up to its billing as an excellent winter golf getaway. For more information, see the Greater Palm Springs Convention & Visitors Bureau website.